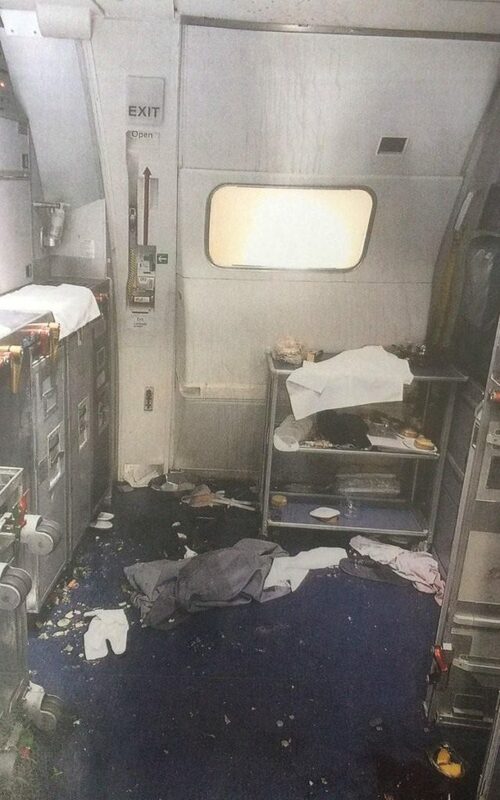 Joseph Daniel Hudek IV, aged 23, went on the rampage on Thursday on a Delta flight from Seattle to Beijing. A written statement by an FBI special agent described how Hudek visited the toilet about an hour into the flight before emerging and lunging for the exit door, trying to open it. Flight attendants tried to stop him, while calling out for assistance from passengers. Eventually the staff and passengers managed to restrain Hudek for long enough to truss him with zip-tie restraints. The plane turned back to Seattle where it was met by police and emergency services, and Hudek is now being prosecuted for interfering with a flight crew, which carries a maximum sentence of 20 years and a £200,000 fine.